Look out! You’re on number FOURteen. No flying golf balls here. Just a great number 14 tracing page. Give it your best shot & trace, trace, trace until you’ve got an ace in the hole! 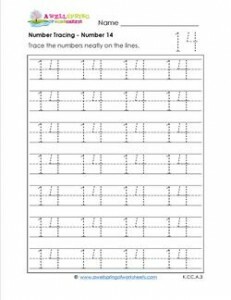 Please go to this page to see all the number tracing worksheets in this set.